Slewed weave was probably designed for speed. 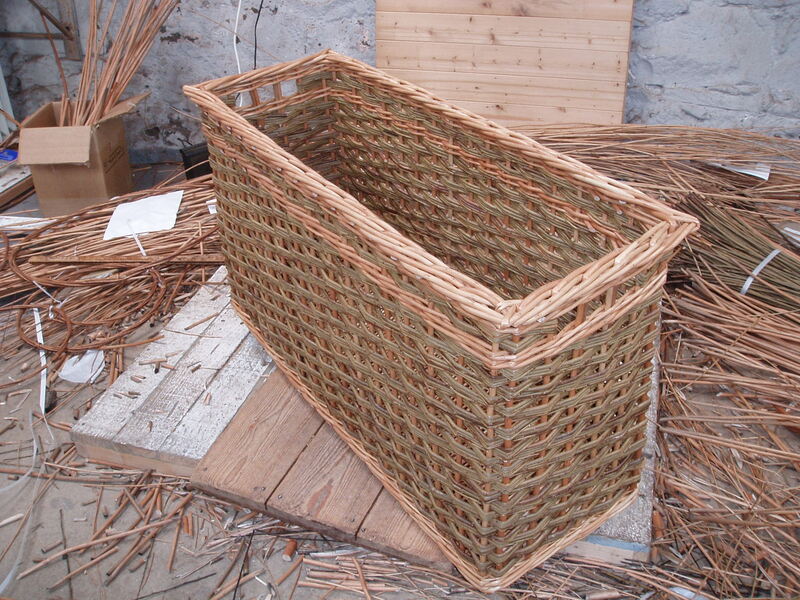 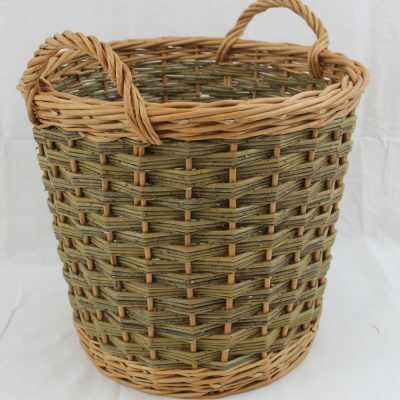 It’s a weave that uses several rods of willow at the same time and the pattern can be continued up to any height so it’s great for taller baskets (randed weave can also be used for tall baskets but has to be built up in sections divided by a special row of weave known as a wale). 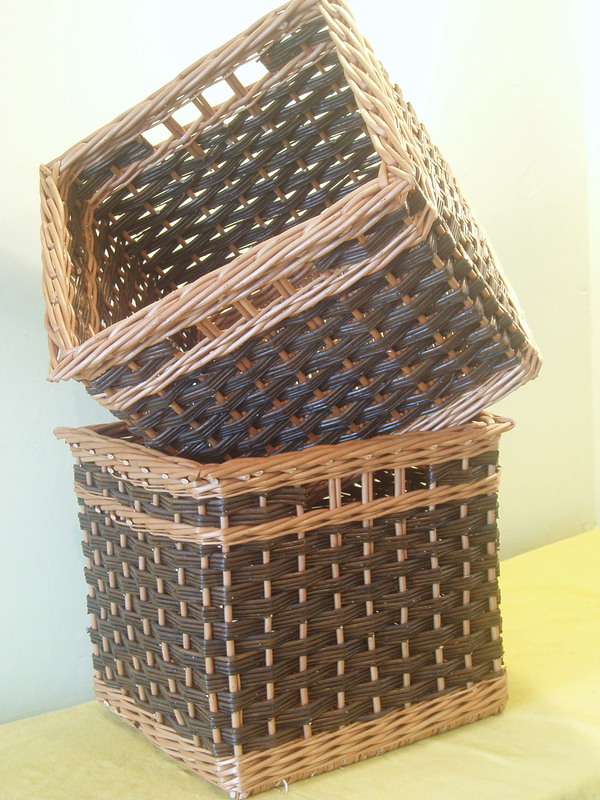 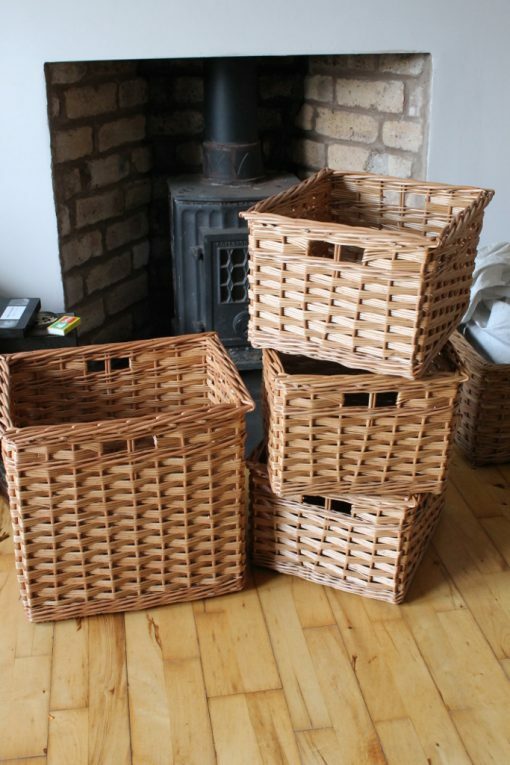 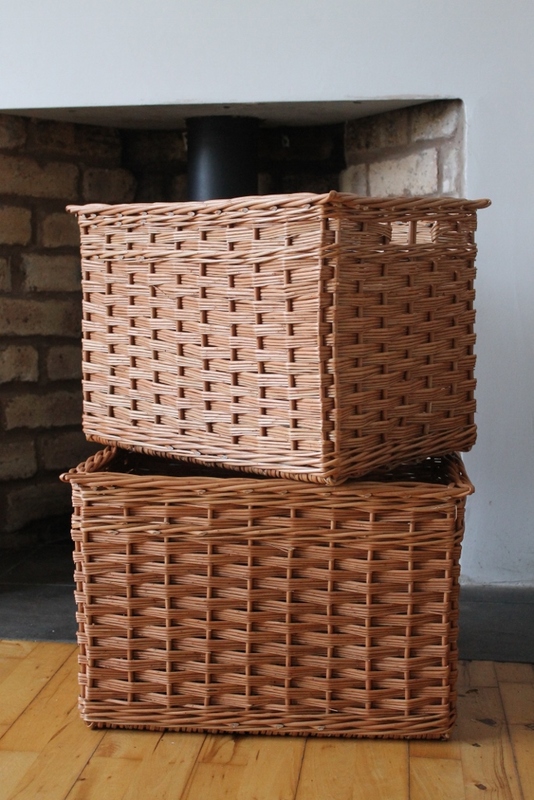 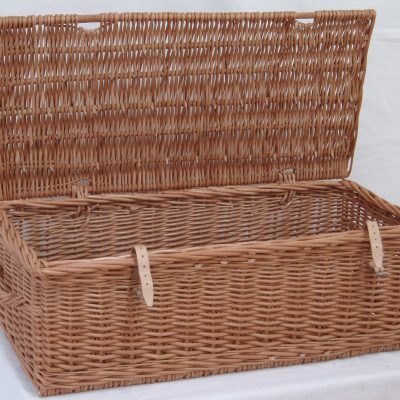 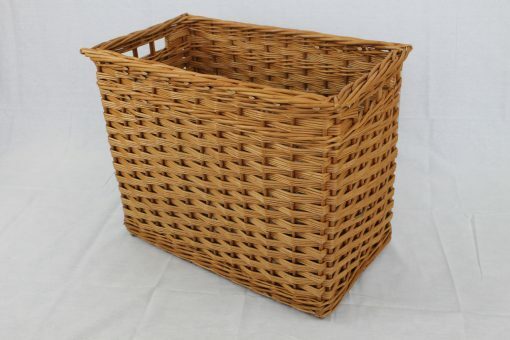 Slewed weave is perfect for kitchen or utility room baskets and log baskets. Because it is quicker to work with the price is a little less than for randed weave. 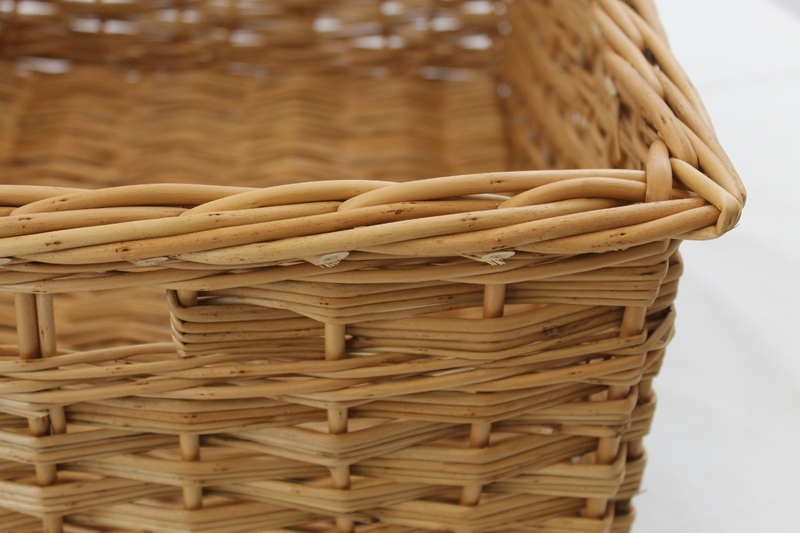 Made with a standard border you’ll have a strong and durable basket, perfect for everyday use. 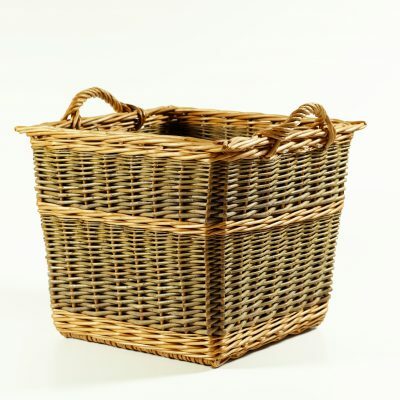 Finger holes enable access and easy lifting.